#TBT to jollier times with our High Protein Sandwiches! 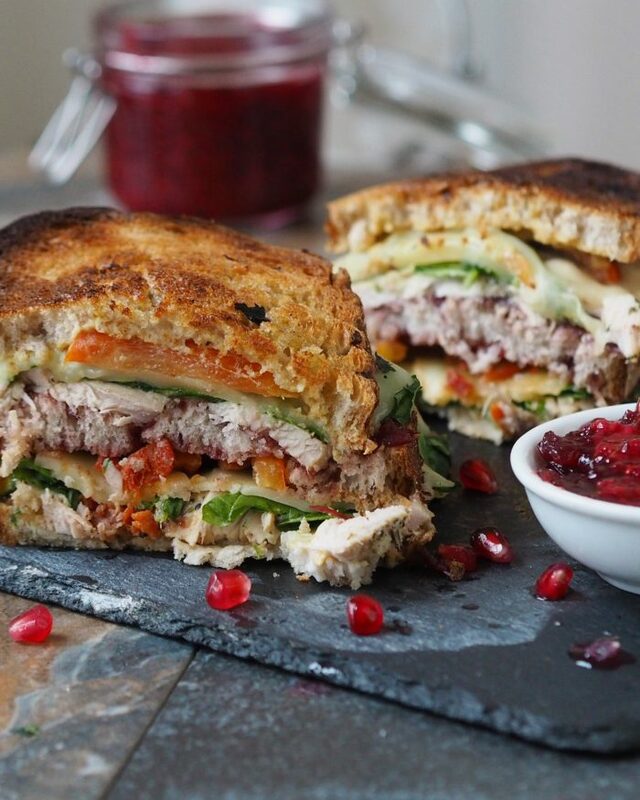 These lunchbox fillers may have an Xmas theme, but our High Protein Sandwiches are fantastic to have all year round! And if you don’t have any leftover turkey, just trade it in for another cooked meat or poultry. Spread cranberry on 3 slices of bread and mustard other 3. Pile ¼ of the turkey onto two slices of bread with mustard and top with spinach, followed by 2 slices of bacon, cheddar cheese red onion and red pepper. Place other piece of bread on top, cranberry side down. Top with turkey, followed by spinach, bacon, cheese, red onion and red pepper. Place toothpicks in corners of sandwich. Place on sheet pan and bake until cheese is melted. Remember to post your feedback on social media, as we love to see you making use of our content!